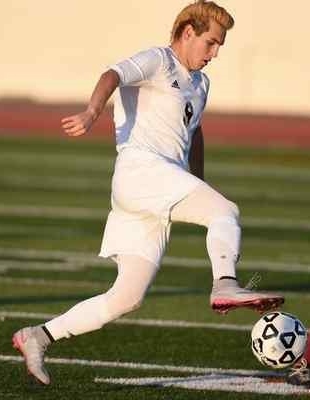 Ontario Chaffey senior Andres Garcia topped the Tigers with 26 goals last season. There was no more hotly contested league race than the one between Ontario Chaffey and Ontario last season, and the battle looks to intensify this season as both team’s star players face the final games of their prep careers. The two games between these sides will be must-see soccer. Rancho Cucamonga Alta Loma is competent and capable of a surprise. Ontario Colony might be getting better, and Montclair has a full roster and a new attitude. Chino Don Lugo, unfortunately, faces the prospect of a winless league campaign. ONTARIO CHAFFEY (20-3-2 overall, 9-0-1 Mt. Baldy) was living by such slim margins at the end of last season that a well-timed flick, bit of luck or a key refereeing decision was the determining factor in their final three games. The Tigers will look to senior striker Andres Garcia, one of the Inland area’s most prolific scorers each of the last two seasons, to step up and be more of a leader. ONTARIO (18-3-2, 7-1-2) allowed just 18 goals in 23 games last season, but three were by rival Chaffey as the Jaguars went winless (0-1-1) against their crosstown foe. The squad will be strong in the back, as captain Alex Medina returns to anchor the defense in front of goalkeeper Jazeal Ramirez. RANCHO CUCAMONGA ALTA LOMA (13-10-2, 5-4-1) lost four of its last five games — including games vs. Chaffey and Ontario in the final week of the regular season — to end last year on a regrettable note. The Braves have a full slate of nonleague games so we should know about this team early. MONTCLAIR (8-12-2, 3-7-0) makes a coaching change coming into this season, so there will be plenty of questions asked of the new top man. One this is for certain, he’s organized. There’s already a roster posted on MaxPreps.com. ONTARIO COLONY (7-9-2, 3-7-0) lost in overtime to both Alta Loma and Montclair down the stretch. If one or both of those results go differently than the Titans may have been a playoff teams last season. CHINO DON LUGO (6-15-2, 1-9-0) ended last season on a nine-game losing streak. The Conquistadores took some stiff, sobering defeats last season. Dec. 21 – Alta Loma at Claremont, 5:30 p.m.
Dec. 22 – Montclair at Corona Centennial, 3:15 p.m.
Dec. 23 – Chaffey at Redlands East Valley, 3:15 p.m.
Feb. 1 – Colony at Montclair, 5 p.m.
Feb. 1 – Ontario at Ontario Chaffey, 5 p.m.